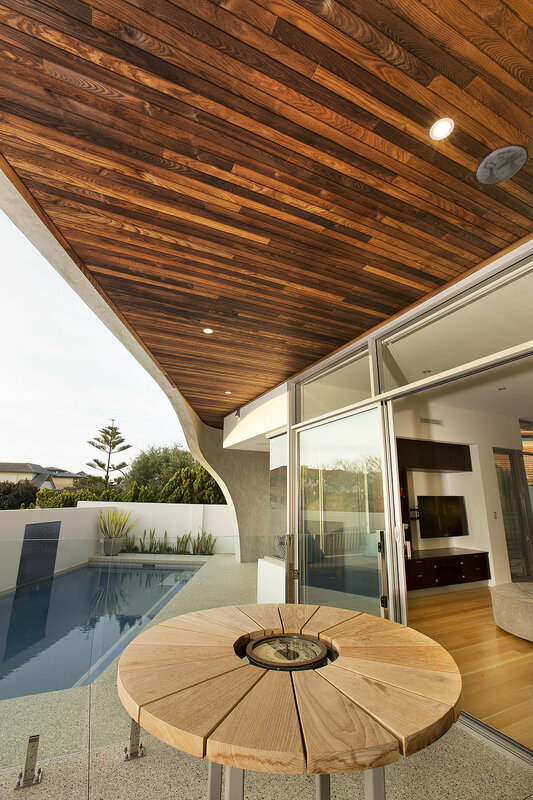 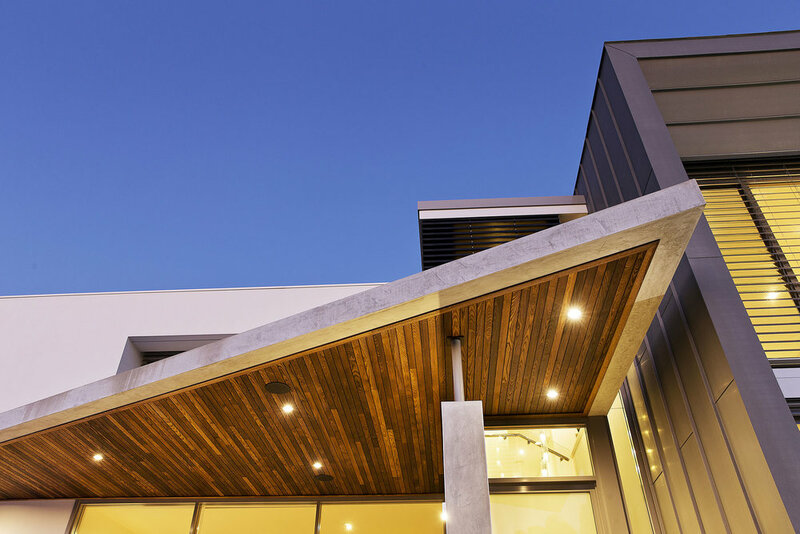 This stunning home in City Beach was skilfully designed by Architect John Lewis. 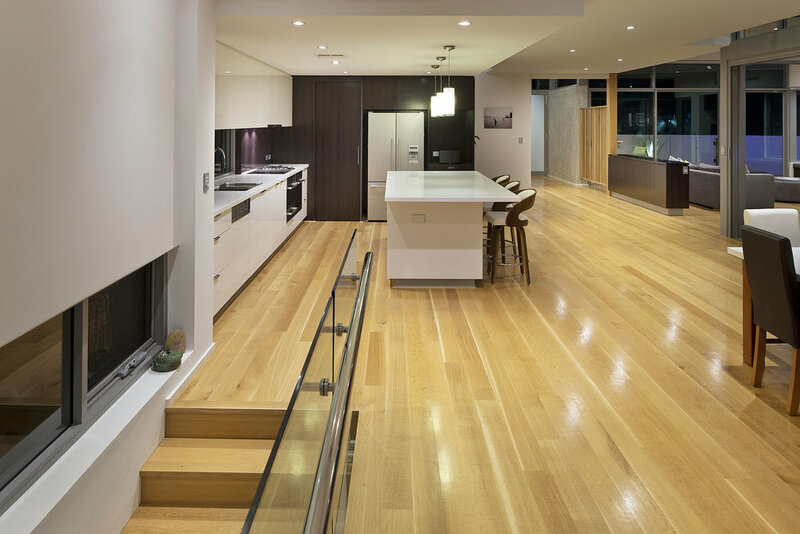 Building works were carried out by Cottesloe Constructions. 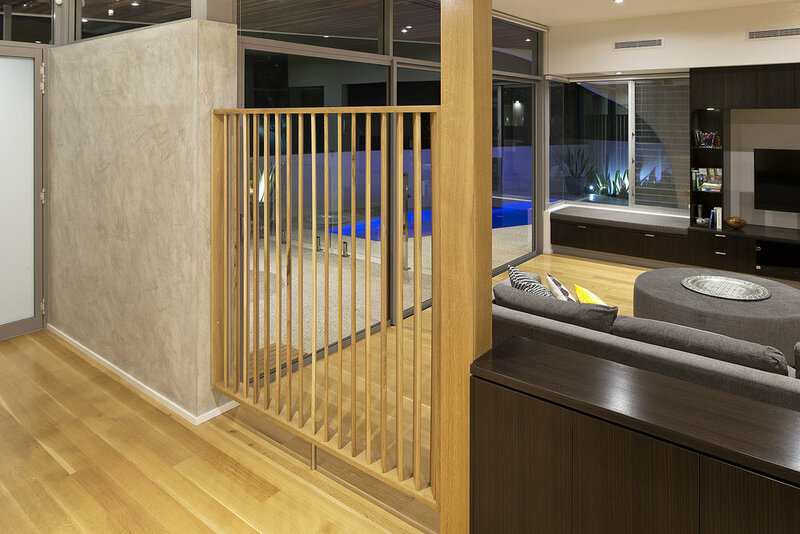 Austim brought together both parties the resulting in new relationships and a sucessful project. 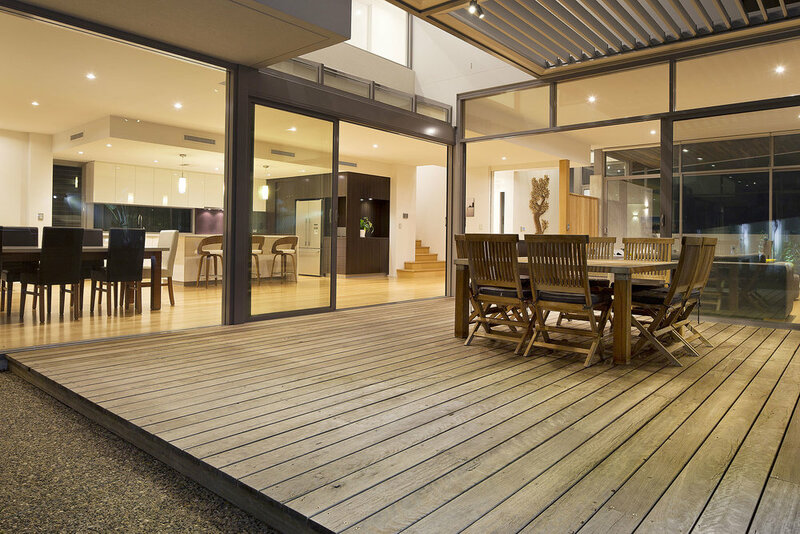 Timber components include Quarter Sawn American Oak Flooring and Joinery, recycled Ironbark decking and thermally modified lining to the alfresco area.